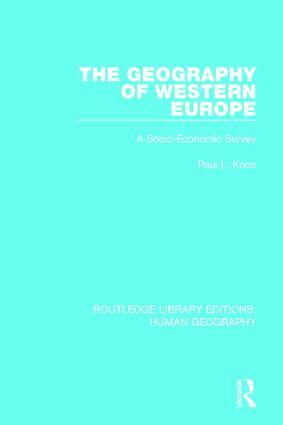 This book provides a comprehensive survey of the social geography of Western Europe. It begins by outlining the character of the region nad proceeds with an exploration of demographic and cultural features, including migration and ethnic groups. The political organisation of nations and regions are analysed along with regional change and development. The study concludes with a consideration of key issues central to the geography of social well-being such as regional convergence/divergence and the impact of public expenditure patterns.